EKB has been hand crafting kitchens at all different price points for well over a decade. Our service levels never vary whether you are buying a new home, purchasing cabinets from us or having us renovate your home. EKB can coordinate all phases of interior construction including framing, electrical, plumbing, project management and permit coordination. Whatever you dream, whatever your budget, EKB is hear to listen, craft, and design the kitchen of your dreams. EKB has been hand crafting kitchens at all different price points for well over a decade. Our service levels never vary whether you are buying a new home, purchasing cabinets from us or having us renovate your home. EKB can coordinate all phases of interior construction including framing, electrical, plumbing, project management and permit coordination. Whatever you dream, whatever your budget, EKB is hear to listen, craft, and design the kitchen of your dreams. Summit Cabinets is your premier online source for kitchen and bathroom cabinets in Corona, CA. At Summit Cabinets, we believe that exceptional quality, outstanding value and superior service are the keys to success. That commitment to first-class quality and service at an affordable price has made us one of the leading suppliers of assembled and ready-to-assemble cabinets on the Internet. Summit Cabinets is your premier online source for kitchen and bathroom cabinets in Corona, CA. At Summit Cabinets, we believe that exceptional quality, outstanding value and superior service are the keys to success. That commitment to first-class quality and service at an affordable price has made us one of the leading suppliers of assembled and ready-to-assemble cabinets on the Internet. AGO Premium Kitchens offers fine kitchen cabinetry inspired by European design. We create custom solution for luxury home kitchen space. Our services include custom cabinets design and build, whole kitchen installation, interior kitchen design and countertop maintenance. We service Grater Toronto Area, as well as Vaughan, Thornhill, Richmond Hill, Markham, Etobicoke, Mississauga and Brampton. Stop by our showroom in Toronto for a great selection of modern, transitional and crafts. AGO Premium Kitchens offers fine kitchen cabinetry inspired by European design. We create custom solution for luxury home kitchen space. Our services include custom cabinets design and build, whole kitchen installation, interior kitchen design and countertop maintenance. We service Grater Toronto Area, as well as Vaughan, Thornhill, Richmond Hill, Markham, Etobicoke, Mississauga and Brampton. Stop by our showroom in Toronto for a great selection of modern, transitional and crafts. Towne & Country Design, Inc are a professional design firm offering complete management services throughout the installation of your home remodeling project. We have been serving clients for more than 10 years in our Yorba Linda showroom, with over twenty years of expertise in remodeling homes throughout Orange County. Towne & Country Design, Inc are a professional design firm offering complete management services throughout the installation of your home remodeling project. We have been serving clients for more than 10 years in our Yorba Linda showroom, with over twenty years of expertise in remodeling homes throughout Orange County. Our manufacturing process consists of using the highest quality wood, running products through rigorous quality control tests and always producing the latest designs in both function and form. Our cabinetry ships standard ready to assemble an additional fee will apply to ship cabinets assembled. You can be assured of receiving high quality kitchen cabinetry that will last you for many years. Our manufacturing process consists of using the highest quality wood, running products through rigorous quality control tests and always producing the latest designs in both function and form. Our cabinetry ships standard ready to assemble an additional fee will apply to ship cabinets assembled. You can be assured of receiving high quality kitchen cabinetry that will last you for many years. BEST OF HOUZZ 2017 Westport 28 years. NEW SHOWROOMS OPENING Fairfield 1/17 1552 Post rd. Greenwich 6/17. Kitchen and Bathroom designs with Full Construction and Remodeling services for 33 years. Highly specialized in the Kitchen and bath of the future. Specialized styles like the apple interactive kitchen and Bath with audio and video. The smart Kitchen and emerging technology in all fields placed into the kitchen and bath. BEST OF HOUZZ 2017 Westport 28 years. NEW SHOWROOMS OPENING Fairfield 1/17 1552 Post rd. Greenwich 6/17. Kitchen and Bathroom designs with Full Construction and Remodeling services for 33 years. Highly specialized in the Kitchen and bath of the future. Specialized styles like the apple interactive kitchen and Bath with audio and video. The smart Kitchen and emerging technology in all fields placed into the kitchen and bath. Grand Canyon Home Supply was founded in Phoenix, AZ with the idea of creating a home remodel store that specializes in the main essentials of home remodeling. Grand Canyon Home Supply was founded in Phoenix, AZ with the idea of creating a home remodel store that specializes in the main essentials of home remodeling. cabinet Hero is a cabinet door protector that guards your cabinets against peeling, chipping and wearing out.Child safe and just slip on and can be cut to size.Great for owners and land lords who want to protect and keep their cabinets looking great! cabinet Hero is a cabinet door protector that guards your cabinets against peeling, chipping and wearing out.Child safe and just slip on and can be cut to size.Great for owners and land lords who want to protect and keep their cabinets looking great! Envyland Kitchen is a Brampton based business that offers kitchen renovation options for all of our customers. We offer different kitchen cabinet and kitchen countertop options for our customers. This includes quartz countertops, laminate countertops and granite countertops. We also have many other kitchen accessories that we can add to your kitchen. Envyland Kitchen is a Brampton based business that offers kitchen renovation options for all of our customers. We offer different kitchen cabinet and kitchen countertop options for our customers. This includes quartz countertops, laminate countertops and granite countertops. We also have many other kitchen accessories that we can add to your kitchen. Kitchen Solvers franchise owners specialize in kitchen cabinet remodeling, cabinet refacing and kitchen design consultation. We handle all types of kitchen remodeling jobs, but we pioneered high-quality cabinet refacing when we started 30 years ago. Refacing offers consumers a custom kitchen cabinet upgrade at a much lower cost, and the jobs are also less labor intensive — which allows our franchise owners to handle a higher volume of work. Kitchen Solvers franchise owners specialize in kitchen cabinet remodeling, cabinet refacing and kitchen design consultation. We handle all types of kitchen remodeling jobs, but we pioneered high-quality cabinet refacing when we started 30 years ago. Refacing offers consumers a custom kitchen cabinet upgrade at a much lower cost, and the jobs are also less labor intensive — which allows our franchise owners to handle a higher volume of work. Trusted Choice Cabinets is the leader in cabinets in Tampa Bay. Whether you want to renovate your entire kitchen, remodel your kitchen cabinets or just add some extra flare to your kitchen Trusted Choice Cabinets is the right choice. Trusted Choice Cabinets is the leader in cabinets in Tampa Bay. Whether you want to renovate your entire kitchen, remodel your kitchen cabinets or just add some extra flare to your kitchen Trusted Choice Cabinets is the right choice. Prestige Luxury Kitchen and Bathroom Renovations is a local contractor with over 20 years of experience in the renovation industry. No matter what your needs are, there is no renovation or remodel job that they can't handle! Call today for a free estimate and to find out why they are your best choice remodeling in your own home!. Prestige Luxury Kitchen and Bathroom Renovations is a local contractor with over 20 years of experience in the renovation industry. No matter what your needs are, there is no renovation or remodel job that they can't handle! Call today for a free estimate and to find out why they are your best choice remodeling in your own home!. MELTINI Kitchen and Bath provides full turn key services. We do all the scheduling and coordination to get the job done. MELTINI does not outsource labor. We have our own contractors in their specific trade to provide top notch craftsmanship from demolition to cabinet installers to bathroom remodeling and more. MELTINI Kitchen and Bath provides full turn key services. We do all the scheduling and coordination to get the job done. MELTINI does not outsource labor. We have our own contractors in their specific trade to provide top notch craftsmanship from demolition to cabinet installers to bathroom remodeling and more. Kitchen & Bath Mart of Niles, IL, offers start-to-finish kitchen remodeling and bathroom remodeling services. From design to installation, we help find the perfect fixtures and surfaces for your home. 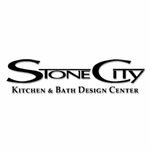 Kitchen & Bath Mart of Niles, IL, offers start-to-finish kitchen remodeling and bathroom remodeling services. From design to installation, we help find the perfect fixtures and surfaces for your home. Creative Concepts Design Center assist you with making the right decisions to achieve your kitchen goals and stay within your budget. In addition, we can help you decide what type of design style you want. You can choose from a contemporary kitchen, a traditional kitchen, a modern kitchen, and a romantic kitchen. Creative Concepts Design Center assist you with making the right decisions to achieve your kitchen goals and stay within your budget. In addition, we can help you decide what type of design style you want. You can choose from a contemporary kitchen, a traditional kitchen, a modern kitchen, and a romantic kitchen. California Cabinets and Construction is a locally operated and owned company headquartered in Fremont, California. We specialize in customized cabinets, as well as a number of home improvement services. When you select California Cabinets and Construction, you're going to be treated as part of our family. We consider all client requests to be very important, because we truly want to bring your vision to life. California Cabinets and Construction is a locally operated and owned company headquartered in Fremont, California. We specialize in customized cabinets, as well as a number of home improvement services. When you select California Cabinets and Construction, you're going to be treated as part of our family. We consider all client requests to be very important, because we truly want to bring your vision to life. Rob Hall's Kitchens Plus specializes in kitchen and bathroom remodeling, custom design cabinetry and countertops. We have a complete staff for all of your design needs. Whether it's designing a house for uniqueness, desire, or emphasis, as design professionals we can help to make your dream a reality. Rob Hall's Kitchens Plus specializes in kitchen and bathroom remodeling, custom design cabinetry and countertops. We have a complete staff for all of your design needs. Whether it's designing a house for uniqueness, desire, or emphasis, as design professionals we can help to make your dream a reality.